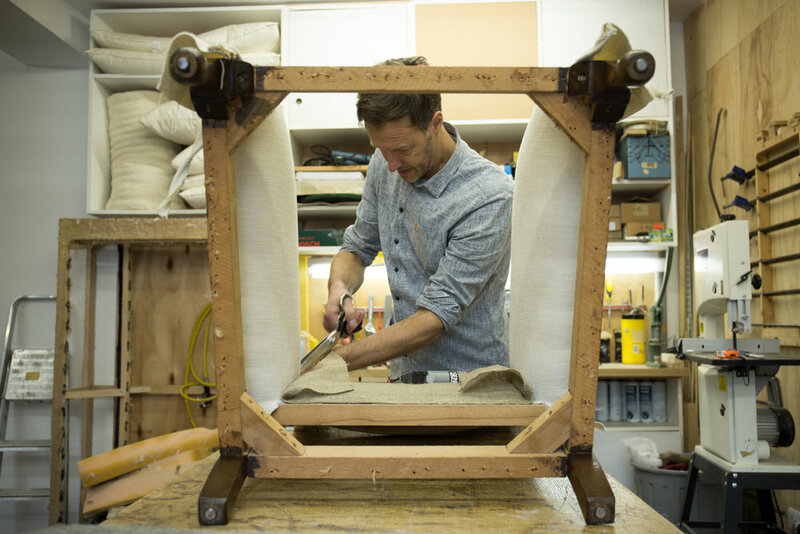 Throughout 2015 I spent some time documenting the work of Peter Homes, an incredibly skilled upholsterer and furniture maker based in Edinburgh. Peter and his team restore furniture using traditional techniques to create unique pieces of the highest quality. It was great to work alongside a talented person such as Peter, I could watch him work for hours, and see that there was a therapeutic side to his work. In the cosy workshop through the back there were always great stories to be heard, not to mention a cuppa or two.